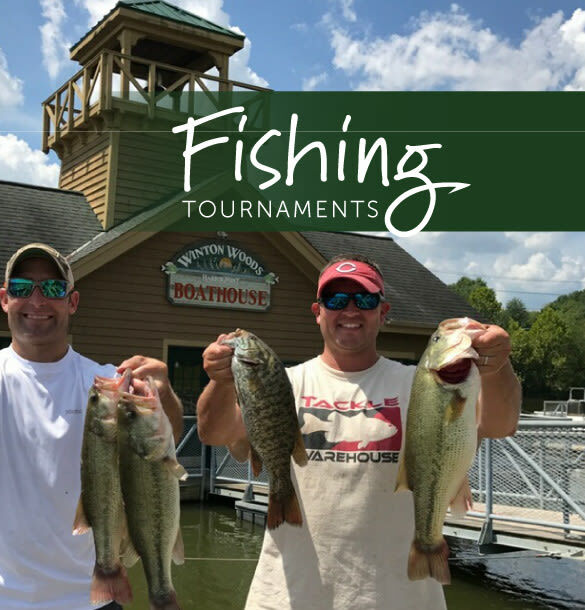 All tournaments are two-person team events, but individuals are permitted to fish alone. A maximum of two rods are permitted per angler in all events except the Bass Series tournaments, where only one rod may be used. Live bait is permitted at all events, except the Bass Series tournaments, where only artificial lures are permitted. Stringers are prohibited in all tournaments. Teams must have their team ID bobber on the tournament board before the end of the event in order to weigh their fish. Kids’ Derbys and Mystery Fish Challenges are not tournaments, and prizes will be awarded to every kid who fishes. Anglers can register for tournaments on-site the day of the event or in advance online. Anglers can register for Bass Series and Rod Busting tournament events beginning March 1. No registration is required for kids’ fishing events. A valid Motor Vehicle Permit is required to enter the parks.